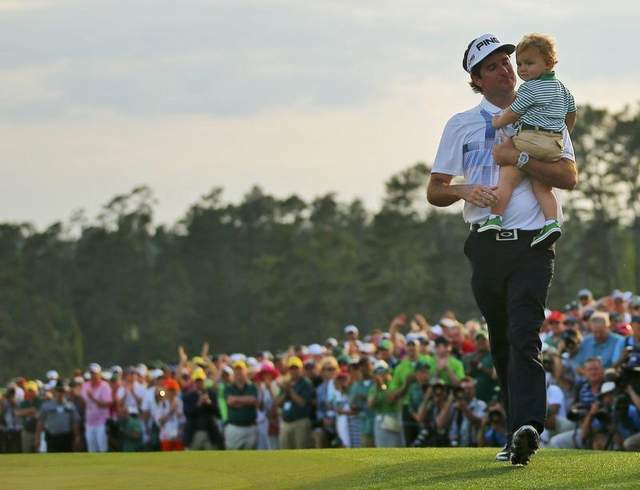 Bubba Watson celebrated his win on the 18th green at the Masters on Sunday by high fiving the patrons at the Augusta National Country Club. The kind of celebration of a win that is so Bubba-like would have been relished by many two years ago when he won his first green jacket, but it was not possible on that Sunday. Watson’s family was not present that day since they stayed at home to care for his newly adopted son. The Masters that year was also decided in a playoff on No. 10 and ended so quickly and dramatically the proper time for commemorative antics was not available. However, this time around Watson took the lead before the turn with a dramatic two-hole swing. The last uneasy moment Watson faced coming home was on No. 13 where he nicked a tree on his tee shot but still was able to get a two-putt birdie. By No. 18, Watson was able to relish all the cheers and know that green jacket number two was waiting for him as was his wife and son. Bubba said it was overwhelming winning the tournament for the first time in 2012, but even more so this time. He said a small town man with Bubba for a name now owns two green jackets which is kind a wild. Though he shot around trees on the 13th and through them on the 15th, it was his booming drives, deadly accurate irons and a steady putter that gave him his second major trophy. He won by three shots over 20-year old Texan Jordan Spieth and Jonas Blixt from Sweden. Watson experienced a down year after winning the Masters in 2012. He was busy with his child and that took time from his game. He went nearly two years without recording a victory and was not close to playing for the 2013 President’s Cup. Last season he was down to No. 44 on the season money list. 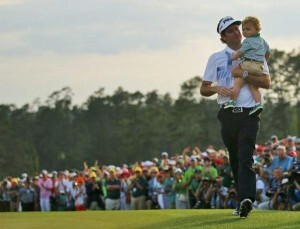 He told fans he had to get used to being a dad and winning his first green jacket. Finally, he said he adjusted and he has his second one.